Home » Posts Tagged "special license plates"
Specialty license plates for DUI Offenders – It is now clear that revoking or suspending the driving privileges is a common penalty for DUI offenders. Despite a license suspension or revocation, these offenders get a provisional license which puts them back on the roads. It is very usual to find them getting more traffic citations and even causing accidents while impaired. The NHTSA encourages States to enact the use of Special License Plates to reduce this problem and hinder future driving especially when the offender is under license suspension or revocation. DUI offenders are everywhere and it is not easy to identify them from the back of the wheels without the special plates. A certain number of states in America have special license plates for drunk driving offenders. The plates are different in the sense of bearing numbers and letters that are limited to the penalties they receive from a court order. Special plates can be considered as a penalty that when used can help the DUI offender reduce his or her mandatory suspension period. In Iowa, these special plates contain a “Z” in the series of numbers – one applies to get this type of vehicle plate. If your driver’s license is revoked in Minnesota, you will have to surrender your registration to the court. A special plate is issued if a member of the offender’s family has a valid license. In Ohio, the case is not different, the offenders get restricted license plates which are red and yellow in color. A special sticker is placed on the offender’s vehicle plates if it happens to be in Oregon. According to NHTSA statistics, many second ‑ and third‑time DWI offenders accumulate traffic offenses and are involved in crashes even when their licenses are suspended. DUI recidivism has been substantially reduced after the introduction of these penalties in most of the states. The plates can be used to identify driver to the residents and the police. This gives caution to anyone that spots the vehicle. Let’s make it clear on what you are to expect when you are arrested for a DUI in most of the American states. A DUI in full means driving under the influence and is quite different from Driving while intoxicated (DWI) in terms of age. So if you are below the age of 21, you will be convicted for DUI with any amount of detected amount of alcohol in the system. Sometimes the minor drivers end up being charged under a DWI if they exceed the 0.08% BAC or more limit. Under the implied consent law, it is a crime to drive under intoxication. Therefore, one has no other obligation but to take a chemical test when they are under arrest. It is optional to take a Sobriety Test, but if you think that you are not in the right condition to pass the tests you can opt not to. This does not mean that you will not be arrested for a DUI. The available chemical test results will be used against you if you test positive for alcohol. Under the Zero Tolerance Law the driver under age 21 loses his or her driver license and gets suspended for a certain period of time. When you file for a hearing, then you will be subjected to two suspension from the court sanction and the DMV authorities. If the DMV suspension or revocation is as a result of administrative action, then it is known as an Administrative Per Se (APS) – it is independent of the court rulings. One might be set aside but it will depend on the type of violation you have committed. You are arrested for impaired driving-related criminal vehicular homicide or injury. Are arrested for your fourth DUI in a 10-year period. Have previously been convicted of a felony DUI. The penalties for the felony offenders are harsh and may include years of imprisonment and high fines. Rehabilitation and probation is a must for subsequent offenders. First offenders get to make a choice between limited license and ignition interlock. The use of ignition interlock devices for second offenders and subsequent convictions are not optional. The duration of using the IIDs will depend on the offense level- they range from 1-2 years. An ignition interlock device is installed in the vehicle and it will require the user to provide a breath sample to start the vehicle. In simple terms, the vehicle will not start when you are impaired. Some people might use other schemes to go around the use of the devices but the new ones are improved. Additional penalties can be released if the data received from the IIDs suggest that you made certain attempts of starting your vehicle and it could not start. If you tried to destroy the device, then you could be in trouble if it is recorded. Since the introduction of the ignition interlock device there has been a drastic reduction of alcohol traffic violation. This is good news to the nation as more and more states get encouraged to include the device in penalties. The main purpose of installing this device is to completely deny the driver access to his or her driving privileges when under the influence of alcohol. The provision for special license plates in some states allows a permit officer to stop the vehicle and check whether the driver is abiding to the suspension requirement. This allows the States to monitor the use of the sanctions. To get your license back you will need to pay the proposed reinstatement fee, show that you have passed the DUI school test, ensure that you provide the driver’s license application fees, and submit chemical health assessment. You will not be denied the rights of driving since you can apply for a restricted license which will help you drive from home to work or school and back. Information probation Up to 3 years. DUI penalties are less in first time non‑injury DUIs as compared to subsequent DUI convictions. The special plates can also apply to motorbike users since the definition of vehicles requires that the device moves upon a public highway. This capability of a property or person to be transported or drawn upon a public highway makes it a vehicle. During the suspension period, you are required to install an ignition interlock device on your motorbike to get a provisional or limited license- this applies in some states. There is no exception, you will have to face similar penalties with car and truck drivers. If the state does not allow IIDs, then you will be required not to ride a motorcycle until your revocation is over. The interlock law will be required if you intend on driving cars during the suspension period. It is quite embarrassing being branded by using special license plates. This adds to other penalties such as increased premiums when you are automatically considered as a high-risk driver by the State DMV. These unique license plates should be used on all the cars owned by the offender until the driving privileges are reinstated. Since the States allow the arresting officers to pull over drivers using the special plates to check if their driver’s license is in a good state. These plates could cost the drivers an additional cost of up to $100. This is indeed good incentive for drivers who need to think before drinking and driving. It also helps the authority to be on the lookout for DUI repeat offenders. If on average a DUI first offender has driven 87 times while intoxicated. This is a clear fact that the offenders are likely to repeat a DUI. In the case that the car owner is not guilty of a DUI but his or her car was involved, the use of special plates still apply unless he or she files a sworn statement. If the driver does not have a car and one of the family members owns one then someone must apply for a special plate. You are not allowed to apply for new registration plates until you have completed a certain period of use. You may also receive your registration plate if the state decides to issue you a valid driver’s license. If a state opts for a license plate impoundment, then such certain circumstances the authority has the mandate to take the license plates off the vehicle involved in a DUI. Acting on behalf of the Commissioner of Public Safety, the arresting officer is allowed to order for a license plate impound. Apart from the state Department of Public Safety, the judge also has the mandate to make such orders. In most cases, the impound order leads to the application of special plates when a provisional driver’s licenses have been issued. If a family member wants to drive the impounded vehicle and has a valid driver’s license, he or she will require special plates to use it. Plate impoundment can be challenged in court, one should apply for the hearing within 30 days of receiving notice. An administrative review or a judicial review is required if the vehicle is impounded by mistake. This process is similar to an implied consent traffic law hearing. The least number of years one is expected to use the special plates is 1 year. 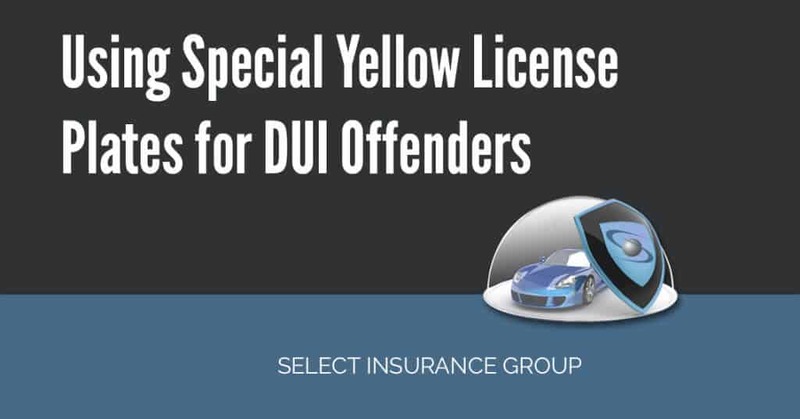 Most of the DUI offenders get their valid driver’s license if they participate in interlock ignition device programs and the use of special plates. These two penalties are at times used together especially in subsequent DUI convictions. To reduce the stigma caused by tagging the convicted drivers, most states opt for Ignition interlock devices. This device will in the future become mandatory to all the states in America. Before installing an ignition interlock device you are required to identify the certified installers from your state DMV website. The installer is required to cooperate with the state in terms of relaying information. The installer has to send proof of installation to the relevant authority. You are also required to obtain an Ignition Interlock Driver License (IIL) before using your vehicle on the road again. The state law determines the length of time of using the Ignition Interlock law. The rolling-retest feature of the IIDs makes it tough for the convicted driver from using tricks on the device. Business people, convicted of DUI require the installation of ignition interlock device before they apply for a restricted license for work purpose that requires frequently driving. Ignition Interlock requirement increases with the increase in DUI Conviction: zero tolerance laws. Apart from being embarrassed when using the interlock device and the special plates, there are added costs. Certain qualifications are required to be met if you need the State to help assist you financially to help cover your ignition interlock cost. This aid caters for installation, removal, and monthly lease fee of the device. The cost of alcohol-related driving offense is extremely high that is why some of the first offenders do not make a mistake of repeating the mistake. Mothers against Drunk Driving (MADD), a nonprofit organization, compared the effect of license suspension and interlock device installation on the reduction of repeat drunk driving offenses. They found out that the use of IIDs in vehicles can reduce the number of repeat drunk driving offenses by 67%. What if the device was used in conjunction with the special plates? It is clear now that drivers using special license plates and ignition interlock users for DUI offense get enough stigma and helps in fighting DUI recidivism. It is likely that you will require an SR22/FR44/SR50/SR22A to reinstate your driver’s license. Select Insurance Group gives you a chance to get back on the road with ease when you fill the auto quote form. If you have questions, don’t hesitate to call: 877-949-7873 or 855-GET-SELECT (855-438-7353). One of our licensed agents will help you right away.